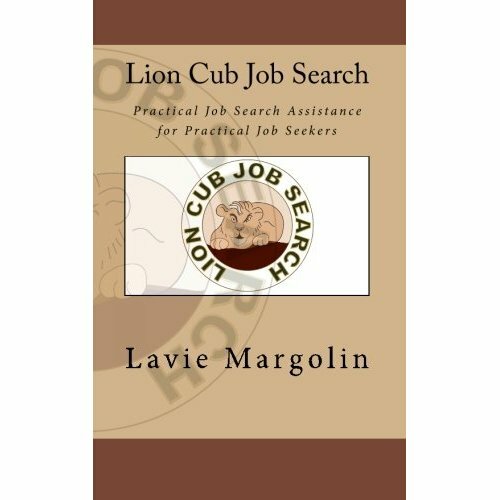 Lavie Margolin is a Career Coach and the author of Lion Cub Job Search: Practical Job Search Assistance for Practical Job Seekers. As sole proprietor of Lion Cub Job Search, his role is to act as a coach, educator and helping hand to professionals. Lavie earned his B.S. in Marketing from Yeshiva University. He has worked in workforce development and education since 2003. Lavie has presented at community events, workshops and conferences. Lavie has been quoted as an expert on job search related topics in several media outlets including The Wall Street Journal, CNN, New Jersey Star Ledger, Monster, Career Builder, AOL Jobs and The Calgary Sun. Lavie has been named as one of the top one hundred resources to get you through the recession (Examiner.com). Lavie’s job search advice blog, Lion Cub Job Search, has been named as a top 50 career coaching resource (University Reviews Online). The blog has readers in 49 states (with the exception of North Dakota) and 78 countries. “80% of jobs are not advertised” is just not true. It has been said over and over again that 80% of jobs are not advertised. It has been written about so many times that it is taken as fact. Having the experience of helping professionals in their job search for nearly eight years, I think this 80% number is inflated and false. How many midsized to large companies do you know of that do not list their jobs publicly? To prove that fact, think of any company with more than 200 employees. Search for the company on Indeed.com and you will notice that many of their job vacancies are listed. After all, why would they not list job openings and keep them a secret? It is true that some smaller companies do not advertise their jobs as it will be cost prohibitive but this is a tiny fraction. Are you sending the same resume and cover letter for every job or taking the time to make sure it is an appealing advertisement for that job specifically? Are you then finding a contact in the company through your network on Linkedin and asking them to advocate on your behalf? Normally I do not learn article on blogs, but I would like to say that this write-up very forced me to try and do it! Your writing taste has been amazed me. Thanks, quite great article.